At Race-Calendar.com, we have created map and calendar listings of races taking place across the world. If you’re looking for a running event in which to participate in the year of 2013, then be sure to check out the main Race-Calendar.com website, and use the regional or race type options to drill down to events you’d like to run! 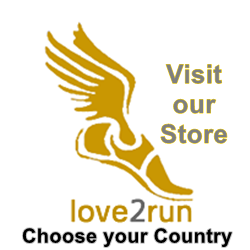 We also sell a 2013 Running Calendar. This product is designed to inspire you throughout the year of 2013, and may be used in conjunction with our website – find and enter races at Race-Calendar.com, and put race date (and training dates) into your beautiful wall hanging. Our pictures can help you to stay motivated throughout the year of 2013! What Do You Give the Runner Who Has Everything? Competition / Give-Away Prize Draw! Subscribe to Race Notifications for Chance to Win Free Calendar Every Week!